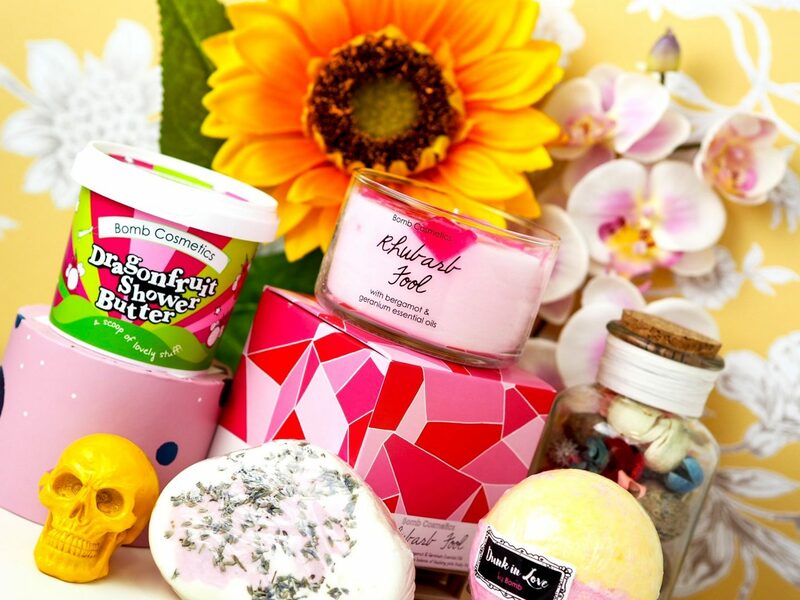 Bubble-Doh And Other Bits From Bomb Cosmetics! A Bomb Cosmetics post from me? Shocker. Sometimes I feel like I should change my blog name to “Black Tulip Bomb Cosmetics”, doesn’t quite have the same ring to it though, does it? Jokes aside, NEW PRODUCT ALERT. All of the products in this post have been released within the last few months but the Bubble-Doh is something that’s come on the site within the last few weeks and I’m super excited to talk about it! There are currently 6 Bubble-Doh products out and the one I have here is “Lavender Clouds”. Lavender is one of my absolute favourite scents, it’s so calming, sleep-inducing and just unexplainably lovely. 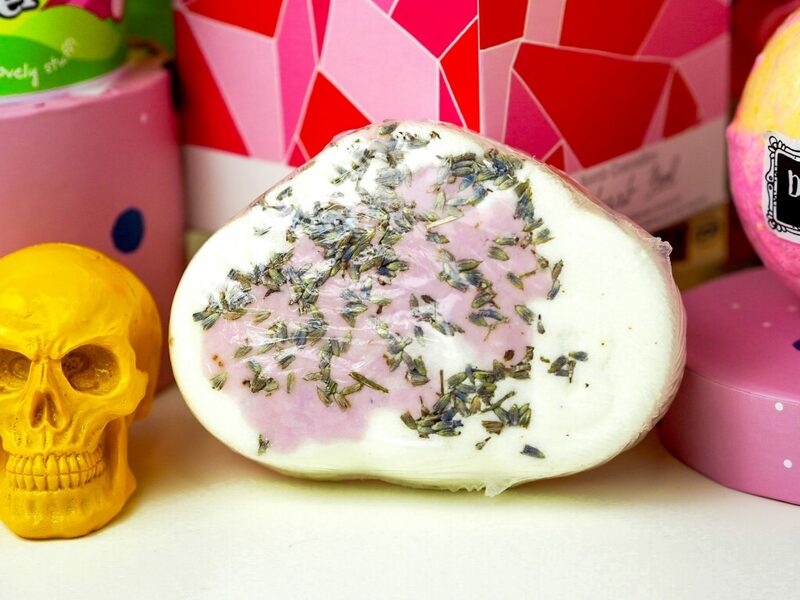 This Bubble-Doh bar contains lavender and geranium essential oils for maximum relaxation and also has lavender petals sat on top, too! Another great thing about the Bubble-doh bars is that they’re much more environmentally friendly than a pot or bottle of bubble bath. They do still have a thin plastic wrapping for preservation and hygiene but that’s nowhere near as bad as a big, plastic and possibly unrecyclable bottle. You also get up to 12 baths out of them which is fabulous value for money! You simply hold the bar under running water to make bubble bath dreams come true. 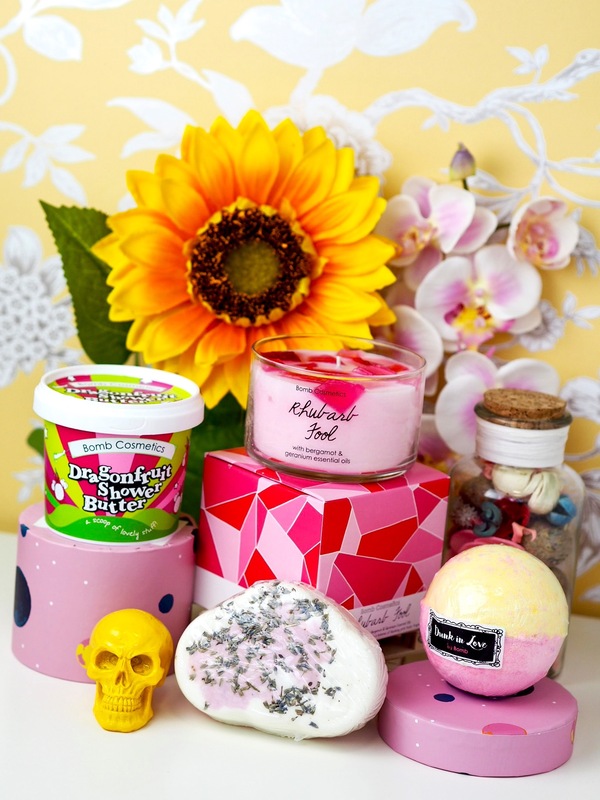 You can have a look at the full range here, the next on my list to buy is for sure the “Lover Ducky” one, how cute is it?! I absolutely ADORE these candles. 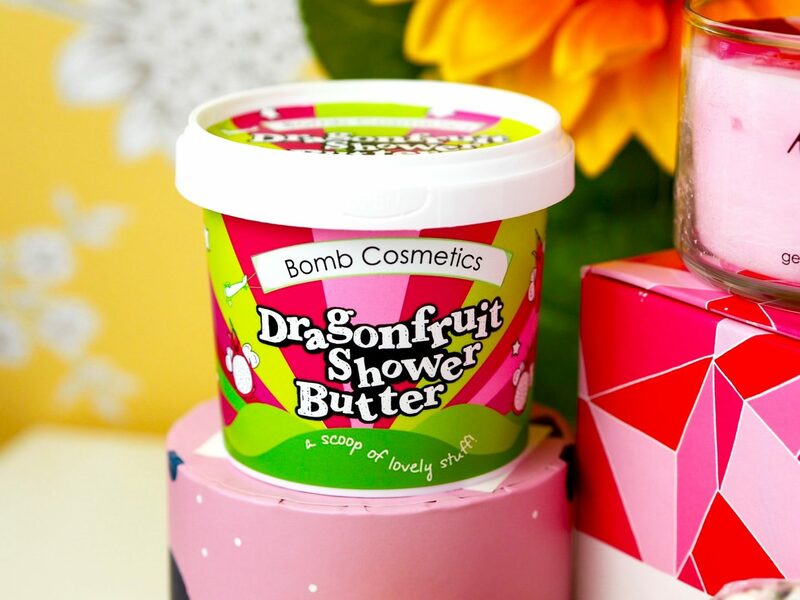 I received the peach one a few months back and they pack such an incredible scent punch. They’re quite a bit different in appearance and size from the other Bomb candles. Despite loving all of the home fragrance products that Bomb Cosmetics offer, I think these have to be my favourite as the colours are super bright, the scent is super strong and they also last the longest! 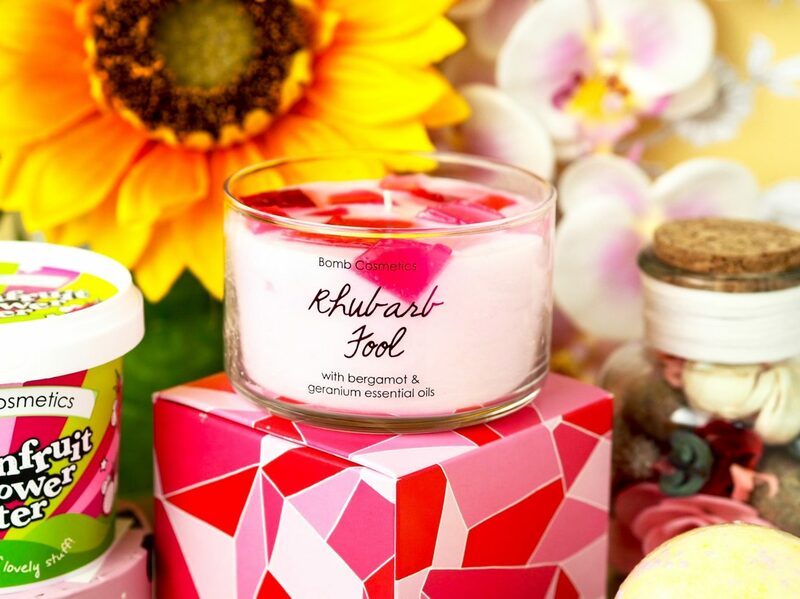 Rhubarb is one of my all time favourite scents (I’ve never actually eaten it though, can you believe that?) so I’m going to be saving this to burn when I need the ultimate pamper day. Who doesn’t love a Beyoncé inspired product?? I’ve tried 4 bombs from the Watercolours range now and they’re one of my favourite Bomb Cosmetics launches yet so I’m super excited to see what surprises this one brings! I recently uploaded some pictures and a review of two other of the Watercolours bombs here. Doesn’t this one kind of look like a different coloured Pokéball? I love it. I’m usually good at describing scents but with this one I’m honestly quite stuck. The best way I could describe it is subtly sweet and fresh floral but kind of grass-like (in a good way). The website says it has lemongrass and amyris essential oils in so it’s a lovely relieving and relaxing bomb. Will you be trying any of their brand new Bubble-Doh? Ideas For A Christmas Pamper Hamper! 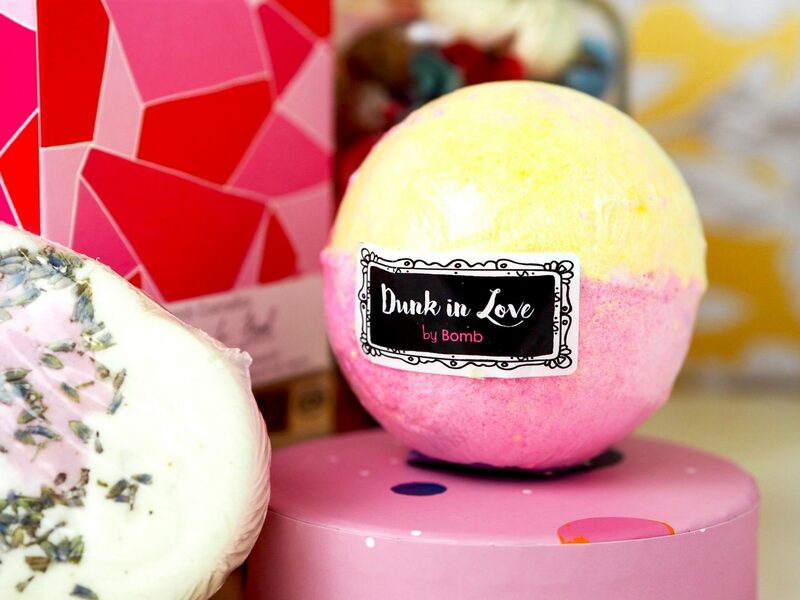 The Lush Love Boat Bath Bomb! "Struggling With Personal Style Identity!" "Badass Burgers At Asado Bristol!"